It's not called the Fabulous Gourmet Basket for nothin'! This hand arranged and hand delivered gourmet gift basket is a gift to behold. 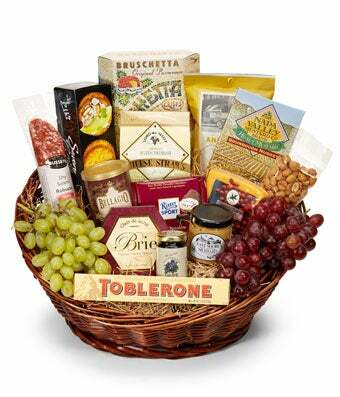 It will arrive to your recipient's doorstep overflowing with quality meats, cheeses, crackers, and chocolates. Send this unique gift for a birthday, congratulations, or to express your sympathy. Please note: contents may vary.